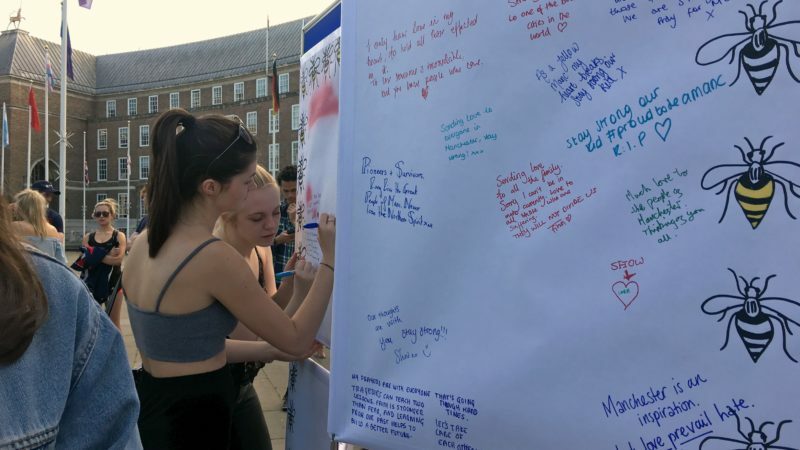 Two University of Bristol students were behind the College Green vigil, which aimed to show compassion and unity after the tragic bombing of Manchester Arena on Monday May 22. 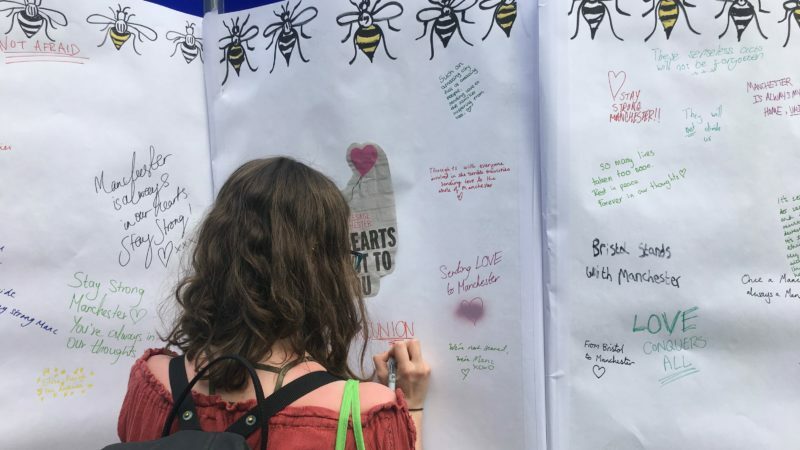 Co-organisers Lily Dyble (20) and Grace Mainon (19), both from Manchester, pulled off an understated coming-together which felt simple and significant. 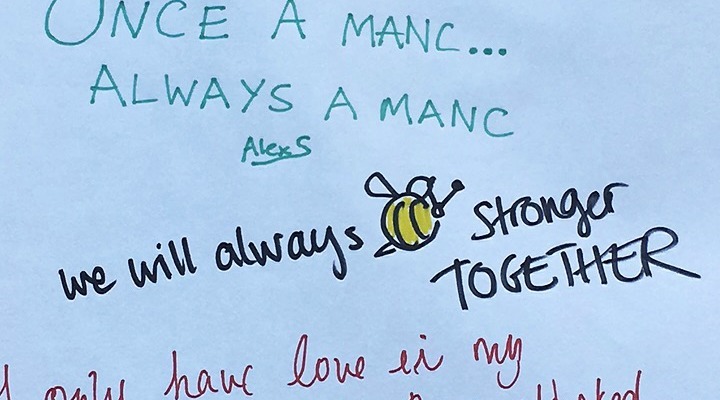 Three 6mx3m boards were stood by the water on College Green, hand-drawn bees protecting the edges of the page. Mancunians and Bristolians alike came together to fill the canvas with messages and ideas of togetherness. There was no anger, and no fear. 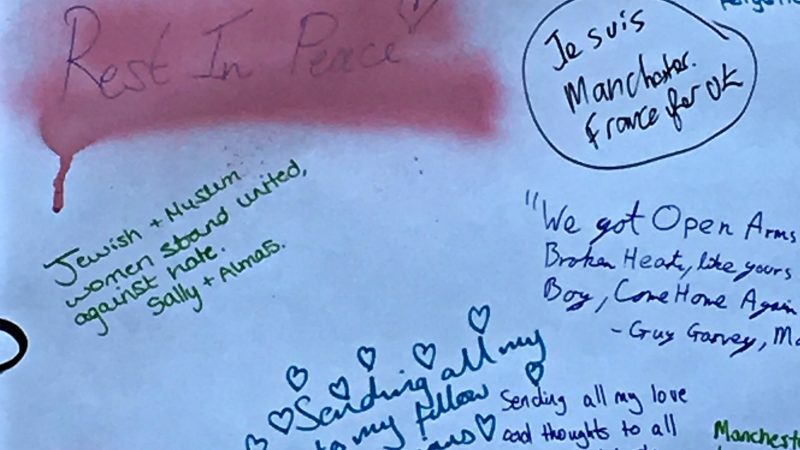 The event amassed almost 200 people, a largely young-adult demographic, who came to pay their respects and share messages, some personal, others universal, in a sign of unity and hope for the future of the city. The boards have now been moved to Bristol Students’ Union in the Richmond Building, for more students to add messages. They will then be delivered to Manchester Town Hall as a gift from Bristol to Manchester; from one home to another.